Even if you only have one vacation rental, trying to keep track of what weeks your property is rented and what weeks it’s available, often seems like a full time job. Organizing and keeping track of multiple reservations and special requests is compounded when you are managing more than one property. Since this is all serious business and you can’t afford to lose a paying customer, it makes sense to implement technology that will eliminate the possibility of lost reservations and customers who fall through the cracks. But technology doesn’t have to be expensive or difficult to implement. 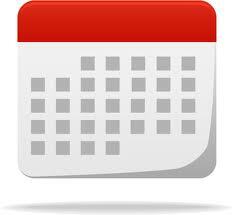 A Vacation Rental Calendar offers the ability to automatically maintain the rental schedule of one or multiple properties. It is one of the most practical and functional tools you can use to easily and cost effectively connect with potential and current clients. Another important consideration in the use of a Vacation Rental Calendar is the amount of time it will save you and your staff. Your online calendar will answer booking and availability questions for you, freeing up valuable management time for other tasks. A Vacation Rental Calendar is an affordable piece of technology for your rental business and pays for itself in a short amount of time. Cloud based systems are available without downloads or software to install, no maintenance required. Just enter your properties and their current availability and you’re off and running.